Posted April 5, 2016 by The Editors . We are delighted to have just completed our 6th annual board meeting of the Center for Integral Wisdom. 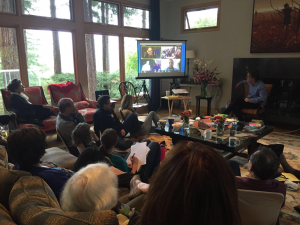 The meeting took place over three days in Mill Valley, CA. It was particularly gratifying to have the participation of all of of the leading partners in the Center for the last six years. The theme of the meeting was “Integrity and Intimacy”. Fifty leaders of the Center participated. There were over thirty distinct talks reporting on all the key projects and initiatives of the Center. Each project involves the articulation, writing or recording of a distinct meme of evolutionary thinking on topics ranging from economics, identity, medicine, education, relationships, and conflict, to the evolution of public culture. Many board leaders felt that this was one of the most powerful and poignant weekends of their life. The Center renewed its commitment to the core principles of fairness, justice, fact checking and restorative justice, which are core to the evolution of consciousness and culture. Part of the annual agenda of the board is always to appreciate the outgoing board team which is completing their terms, and to welcome the new leadership team — both professionally and in terms of the board leadership who are beginning their tenure. It was particularly special to thank John Mackey for his outstanding service as board co-chair. As is the tradition for outgoing board chairs when they conclude their terms of service, John gave his closing talk to the the board and welcomed Barbara Marx Hubbard as the new board co-chair who gave her first opening talk. This passing of the baton that takes place whenever a leader terms out and a new leader begins their term is a particularly moving moment of partnership and community. Both John’s and Barbara’s talks, which were about the nature of genuine integrity, were particularly powerful. We look forward to our best year ever. We are fully committed to evolving the source code of culture and consciousness. 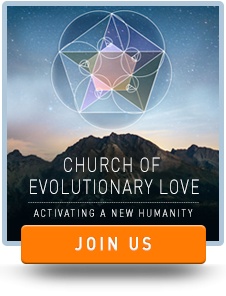 We are fully committed to the evolution of love.